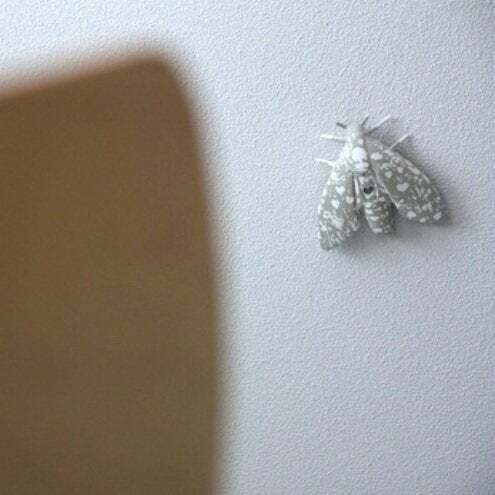 Overgrown insect or smoke detector? Surprisingly, both. The long arm of design reaches new territory with the advent of designer smoke alarms. Why shouldn’t this safety product also be stylish (as long as code is met)? Forward thinking designers in Finland and the Netherlands have applied their talents in the art of beautifying the functional. 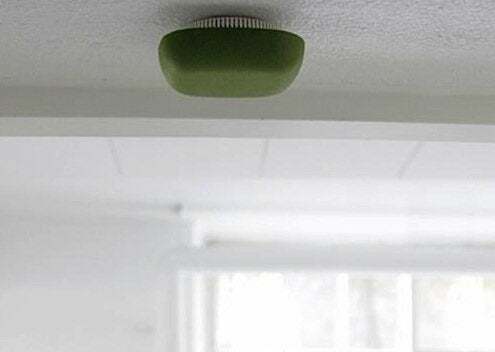 Finnish designer Paola Suhonen enters the smoke detector market with her own design from manufacturer Jalo. 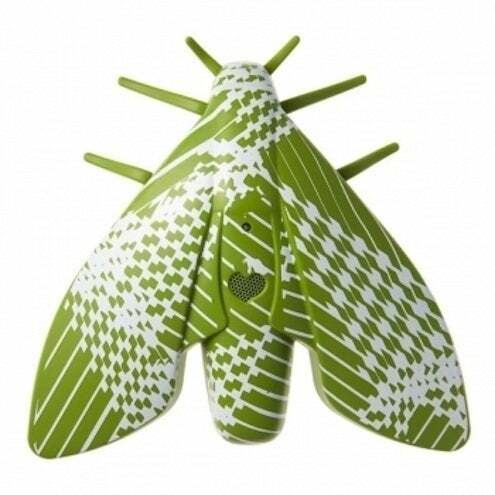 Suhonen introduced her “Lento” smoke detector in the form of a giant, paint-splattered fly—a surreal take on the once staid detector. The unit operates on photoelectric technology, meaning that the alarm sounds if smoke enters the sensor chamber and disturbs the angle of a light source (more info available from NFPA). This product is available online through Finnish Design Shop. Australian company Chick-a-Dee takes the lead with a bird-shaped version set atop a tiny plastic branch. 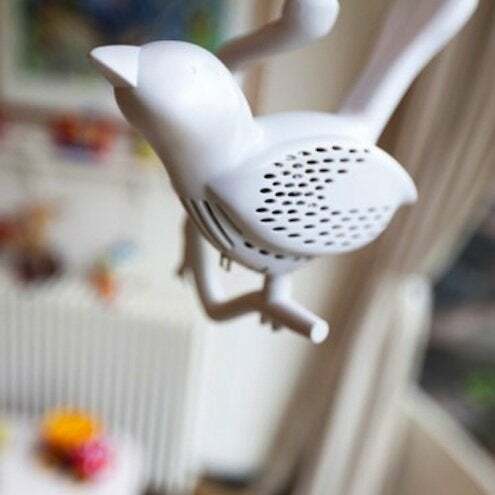 Dutch designer Louise van der Veld took inspiration from a bird’s propensity for warning calls as well as the traditional use of canaries in mine shafts for detecting danger. The battery-operated alarms are currently available in white or white/black at Neo-Utility for $75. 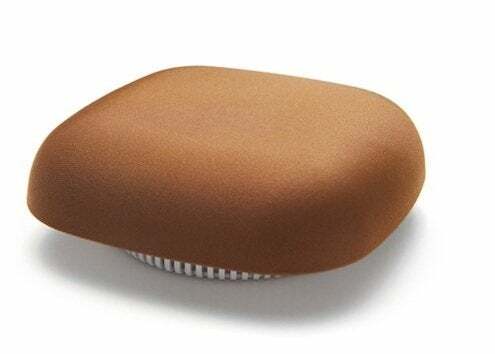 Another Finish designer, Harri Koskinen, is responsible for the “Kupu” detector (also from Jalo), a sleek square with rounded corners covered in five fabric options (a chrome hard-surface version is also available). Its form is soft and elegant, and yet function is also key to the design, since the entire exterior surface acts as the shut-off button in the event of a false alarm. Kupu installs with 3M tape and has a five-year battery life. Available through Finnish Design Shop.